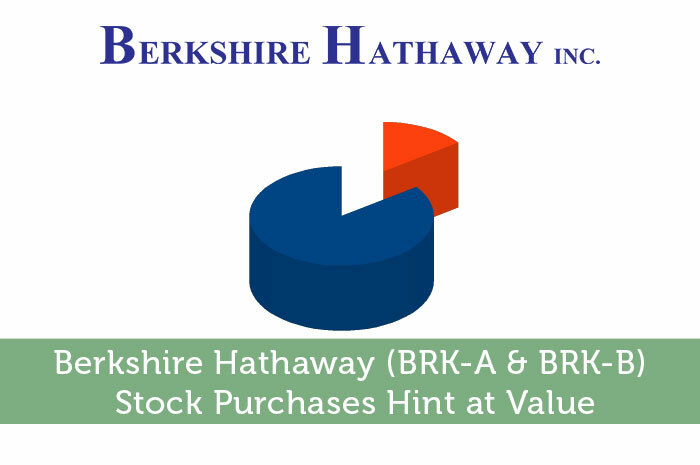 With 13F season upon us, Berkshire Hathaway recently released its 13F filings showing its stock purchases for its legendary stock portfolio in the fourth quarter of 2015. The stock portfolio increased by 3.5% from $127.4 billion to $131.9 billion. There are 45 stock positions, with many of them being fairly small compared to the more well known picks in the portfolio. The five largest positions, which account for two-thirds of the portfolio, are: Wells Fargo (NYSE: WFC), Kraft-Heinz (NASDAQ: KHC), Coca Cola (NYSE: KO), International Business Machines (NYSE: IBM), and American Express (NYSE: AXP). The biggest surprise was a brand new $450 million position in Kinder Morgan (NYSE: KMI) that was initiated, amounting to 26.5 million shares representing 1.2% ownership interest in the beleaguered oil pipeline company. Kinder Morgan’s stock had a high of around $32 per share and a low of just under $15 per share in the fourth quarter of 2015. Warren Buffett and company must have believed Kinder Morgan was a good value somewhere within that range, with my assumption being on the lower end of that scale. Deere & Company (NYSE: DE) was another large addition to the Berkshire Hathaway portfolio, with 5.8 million shares added, which represent almost 7% ownership interest in the entire company. Deere’s stock was highly volatile in the fourth quarter of 2015, yo-yoing between $81 per share down to $73. Again, the Oracle of Omaha, who is known for his thrift and patience for a deal, and his team bought the stock somewhere in this range, with my opinion being that it was on the lower end of that range. Liberty Media (NASDAQ: LMCA) was a minor addition to the portfolio at 587,011 shares, which bumped up ownership in the company to 1.5%. In the fourth quarter of 2015, the stock jumped between $35 per share and nearly $42 per share. Obviously, Berkshire Hathaway thought this was a good range in which to purchase some stock in the company. And finally, Warren Buffett added 9.4 million shares to one of his largest and oldest stock positions in the Berkshire Hathaway portfolio, Wells Fargo (NYSE: WFC). Buffett added to the stake in the bank, bumping up total ownership of the company to 9.4%. Wells Fargo’s stock experienced lows of $51 and highs of $56 per share in the fourth quarter. Shares are currently down to around $48 as of market close on February 17, 2016 and if you are going off any indication of Berkshire’s purchases in the bank, Wells Fargo might potentially be a stock to look into. Stocks that were not added to included Chicago Bridge & Iron (NYSE: CBI), which was completed divested with around 2 million shares liquidated, and WABCO Holdings (NYSE: WBC) and AT&T (NYSE: T), which saw big sell offs. The most interesting was Chicago Bridge & Iron as the good folks at Berkshire Hathaway sold out their stake somewhere between $37 to $45 per share. At these levels, they didn’t have enough faith to keep holding onto the stock in the fourth quarter of 2015. After having examined some of the moves that occurred inside Berkshire Hathaway’s legendary stock portfolio in the fourth quarter of 2015, hopefully it provides some intrigue and insight into your research on potential companies to investigate for long term stock ownership. Disclosure: This author is long BRK-B and IBM.